Clutch are revealing the inspiration behind the title of their forthcoming album, “Book Of Bad Decisions”, in a newly-released video by the band. Due September 7, the band recorded their twelfth album at Sputnik Sound in Nashville, TN with producer Vance Powell (Jack White, Chris Stapleton, The Raconteurs, The Dead Weather). 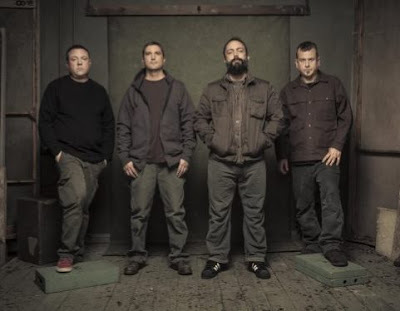 “Book Of Bad Decisions” will be available in multiple formats, including digital download, CD, 24-page book with CD, 2xLP Standard Black, Limited Colored 2xLP, and 2xLP Picture Disc; in addition, Clutch will release two very limited 7” Picture Discs from the set.